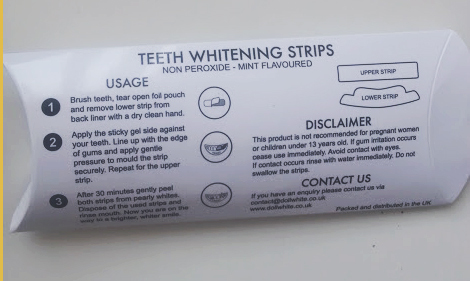 Teeth Whitening Strips - Do They Work? I have talked about teeth whitening quite a lot on this blog, because I love making my teeth look nice and a smile is the best accessory for anybody. Whitening toothpastes are amazing and there are a lot of them out there, but more recently the new trend is whitening strips - you apply before you are about to go somewhere for instant white teeth. 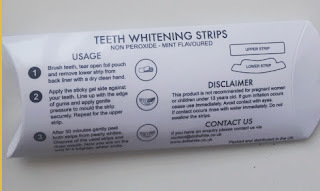 The strips I am telling you about today are from Doll White*, the main concept around them is that you apply the small strips (top and bottom), which has been coated with a gel on to your teeth and leave them on for 30 minutes. After half an hour you should be left with whither and brighter teeth, the more you use them the more you will see a difference. The big question, do they work? Also, how do they feel? Well, in my household three of us used them. Dad, brother and myself for this review the pictures are only of my teeth but the two of them used the strips as well and their thoughts are also included with mine as they were pretty much similar. When you first apply and press the strips onto your teeth it feels really weird, the texture of the strips are odd because you aren't used to having something stuck on top of your teeth. It is also hard at first to talk correctly, a lot of saliva builds up and it can be hard to control. My dad was having a lot of problems trying to talk with the strips in, he had to spit a few times and coughed a lot but after a bit he was fine. After the 30 minutes are up, all you have to do is remove and dispose of the strips and rinse. You should be left with a coating on your teeth and a whiter smile. Did I notice a big difference? Not a first, it was very hard to see whether my teeth had actually gotten whiter or if it was just the light. When you look at someone else's teeth it is a lot easier to see the big difference. I haven't edited the pictures or anything, just cropped out my double chin! Using it once was great and for a few hours I loved the way my teeth looked, but I don't think you can get the best benefits from Doll White unless you use it regularly and personally I don't have time to wait around for my teeth to 'set' and would rather just use them on special occasions. So, yes they do work for a one off but if you want really white teeth use them everyday. 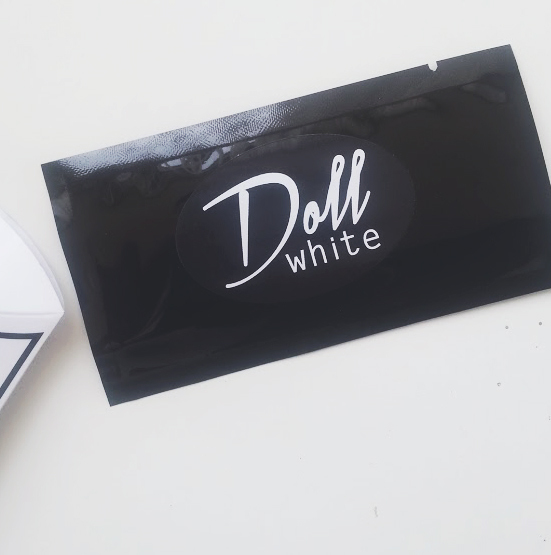 Have you ever tried Doll White Strips?